Everyone is getting a virtual mailbox these days and you’ve finally decided to give in and check what all the hype is about, right? Well, good. It’s about time. The question is, why should YOU get one? It means you’ll conveniently be receiving all your mail and packages online. You can easily access your mailbox and control all mail received. No need to drive to the Post Office or walk to the mailbox or constantly follow up with USPS, just check your virtual mailbox. If that’s not enough reason to get one then let me give you ten signs as to why you should start using one. If you forget to check your mail for just one day but received mail, that can expose you to identity theft. Having your mail pile up in your mailbox is dangerous but having your mail sent to secured facilities is much safer. Virtual Mailbox facilities have high-tech surveillance cameras in every corner, around the clock security guards and mail rooms are restricted to certified, experienced employees. With a special shredding feature in your mailbox, you’ll be able to make sure your mail never falls into the wrong hands. Once you receive notifications with your new mail, you’ll be able to log into your account and handle your mail. You can choose to open & scan, forward, recycle or shred any mail piece all from the convenience of your home. Once the requests are in, our mail experts will take care of it. Junk mail is something we all want to get rid of and no matter how many times we try to prevent junk mail; it always finds its way back in our mail. With a virtual mailbox services , you can set filters to automatically recycle any junk mail and only get important mail. You can also set pre-filters to sort and classify your mail into folders (invoices, family, credit card statements…etc.) to keep your mailbox organized and easily retrieve whatever you need. Whether it’s an important bill or bank statement, there’s always mail that gets lost or misplaced. With all your mail being archived on a cloud-based server, you can never lose a mail piece again. You can use Mail ID, or search by sender or date to find important mail. You can download, print or delete anything in your mailbox, it’s up to you. One virtual mailbox can have multiple recipients. You can share a mailbox with your whole family or use it for work and assign a mailbox to specific departments. Each recipient will have their own login credentials and can separately login and access their mail. If you have a start-up business or a home-based business and are looking for a virtual business address for mail transactions with customers and to use as your business’s address, you get a real street address (in your chosen location) with your virtual mailbox. VirtualMailbox offer over 50 street addresses throughout the US to choose from. Once you pick your address, you can start receiving mail regularly. You can use this address on your website, social media platforms, business cards and even customer invoices. This will give you the professional image you’re seeking and add to your credibility. Enjoy a commercial address for your business in addition to efficient mail and forwarding services. 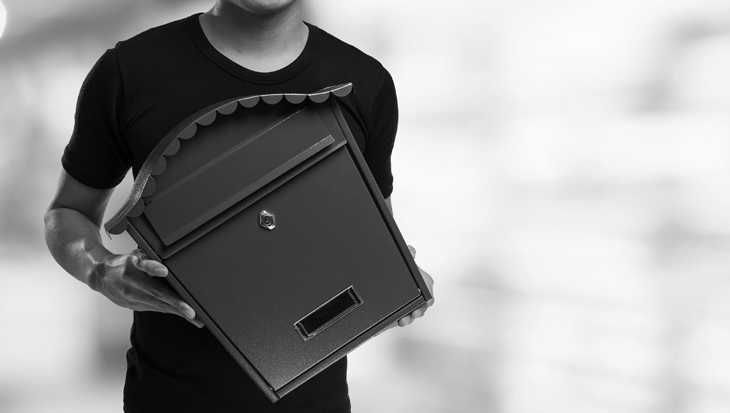 Applying for a change of address may be easy but for it to be effective may take up to weeks. Sometimes mail will still be sent to your old address or it would just stop being sent altogether. This can be a concern if you’re constantly on the move. With a virtual street address, you only need to apply for a change of address once in the beginning and then you’ll permanently have a street mailing address for as long as you need. Have you experienced trouble receiving your packages before? It could’ve been sent to a different address or lost in transit, the point is, you never get it. Then you’re lost between the Post Office and the shipping companies looking into resending the package or a refund. In the end, it leaves you unsatisfied, upset and in most cases, empty handed. Virtual Mailbox forwards packages to you wherever you are, locally and internationally. All your packages will be delivered to safe facilities and then can be forwarded to whatever address you provide. Your packages will even be consolidated before shipping for lower shipping fees. With any street address you sign up for, you will be able to receive mail from all couriers like UPS, DHL or FedEx, unlike the Post Office where you can only receive packages from USPS. A lot of online stores don’t deal with USPS so you’re no longer limited to specific stores anymore. You can now go on vacation or travel without worrying about missing out on any packages. If you’re overseas and don’t want to use the international forwarding feature, Virtual Mailbox will hold your packages for you for up to 30 days from their delivery date. Go to Virtual Mailbox to learn more about the service features and sign up for your free one month trial. With a us, your mail problems will disappear for good.